We encourage positive behaviour by utilising strategies that build confidence and self-esteem; providing each child with the support, guidance and opportunities they need to manage their own behaviour. Creating well-planned and engaging activities. Parents are actively encouraged to discuss with Educators any concerns they may have with their child’s behaviour. If a child’s behaviour endangers themselves, other children or our Educators, or disrupts the program, this is something we take very seriously. We promote collaborative approaches to behaviour guidance between our Educators, Parents and any external agencies. Australia has the highest rate of skin cancer in the world. Babies and young children have sensitive skin that places them at particular risk of sunburn and skin damage. 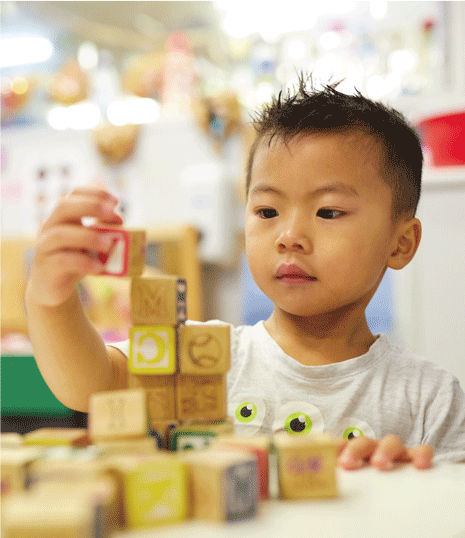 Therefore, as an early childhood centre, we should and do play a key role in educating children about being sun smart and minimising UV exposure. Follow best practice guidelines to protect children, family members and Educators from the damaging effects of sun exposure. Ensuring outdoor areas are shaded and equipped with high UV rating shade sails. Ensuring all children and Educators wear suitable wide brim hats at all times from September 1st to April 30th, or at other times when the UV rating is registering higher than 3. Ensuring sunscreen with 30+SPF is supplied to children. Children with sensitive skin are required to supply an alternative product. Ensuring the rule of no singlets or shoestring dresses outdoors is adhered to (as these clothing items do not protect skin adequately).